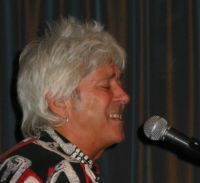 Ian McLagan is a genuine, dyed-in-the-wool rock’n’roller. In fact, his smiling visage — he was, after all, a member of the Small Faces and the Faces — would serve as an ideal illustration in the proverbial Dictionary of What Is Truly Cool. The man known to his many mates and even more fans and admirers as 'Mac' is the sort who shrugs off such puffery. And then he just carries on creating splendid and genuine rock’n’roll with his Bump Band as well as musically aid and abet a marquee line-up of truly blue ribbon talent that he has toured and recorded with: The Rolling Stones, Bob Dylan, Bonnie Raitt, Bruce Springsteen, Taj Mahal, John Hiatt, David Lindley, Paul Westerberg, Billy Bragg and Patty Griffin, to name some but hardly all of the notables that McLagan has worked with over his four-plus decade career.